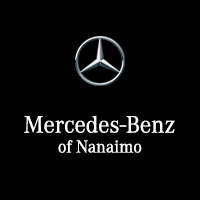 Mercedes-Benz Nanaimo, as a division of the GAIN Group, is looking for people that understand service, dedication, loyalty and performance. We are truly looking for the best people Vancouver Island has to offer. Every career is a journey that starts with learning about exceptional customer service. Our employees know that our performance goals are to provide exceptional service to our clients and to be one of the best dealerships in Canada and as such, our employees are given exceptional opportunities for growth and expansion not only within their career but also in whatever career they choose for the future.